In Toronto to present a Pinotage tasting for the South African Wine Society, run by the indefatigable Eleanor Cosman who sourced all the wines. 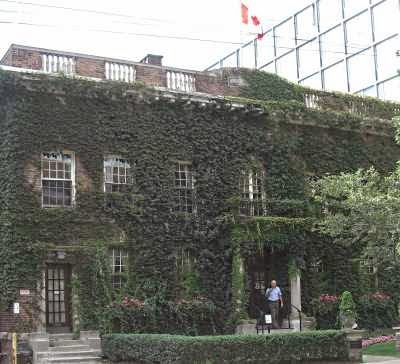 The tasting was held, like my previous International Pinotage Tasting in 2014, in the Toronto University Faculty Club, a 1920’s ivy-covered mansion. This time all the wines were South African, apart from the starter Pinotage from Oregon. I can't take notes while presenting a tasting, so I am indebted to SAWS stalwart Jon Whitteker whose notes in bold follow the tasting sheets comments. Two servings of food were made during the tasting and it was a mosr enjoyable evening, especially in meeting Eleanor, Jon and other members who'd been to my previous tastings in Toronto. On a show of hands, the favourite wine of the evening was, narrowly, Southern Right. Thanks again to Jon Whitteker for his tasting notes and support. Thanks to Eleanor Cosman for the excuse to visit Toronto again, a great tasting and lunch the next day. The South African Post Office has produced a set of five small international letter rate stamps and a commemorative envelope as tribute to the South African wine industry. One stamp (left) pictures the first commercially released varietal Pinotage, the 1959 Stellenbosch Farmers Winery 'Lanzerac' brand. The stamps were by designed by Rachel-Mari Ackermann of the SA Post Office. The stamps cost R45.75 for a set of five and a commemorative envelope costs R48.75. The stamps are available from all major South African post offices and can be ordered from sa.stamps@postoffice.co.za. Sad news. Michael 'Spatz'Sperling, patriarch of Delheim Estate, died today 8 October of natural causes. 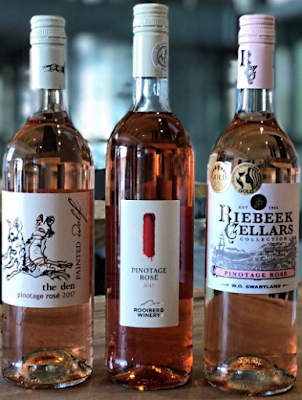 Spatz produced the first Rosé Pinotage in 1976, he played a major role in several wineland initaitive, including the Stellenbosch Wine Route in 1971, the country's first wine route and was instrumental in developingthe Wine of Origin system. The South African wine industry has lost a pioneering icon in the passing of the legendary Spatz Sperling, patriarch of Delheim Estate and co-founder of the Stellenbosch Wine Routes, who died of natural causes at the age of 86 on 08 October. 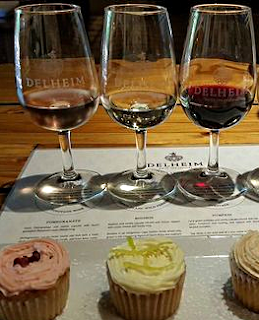 Delheim will close today at 15:00 as we celebrate his life and cherish all the good memories with loved ones. We will not be answering emails or phone calls for the rest of today. No ordinary octogenarian, Michael Hanz 'Spatz' Sperling, a German-born vintner who arrived in the country in April 1951 as a 20 year old World War II refugee, has built Delheim into one of the most enduringly popular and successful wine destinations in the Cape over the past half century. Over the years this family-run wine farm also became a microcosm of Spatz's visionary work in the greater Stellenbosch community and the Cape Winelands as a whole. 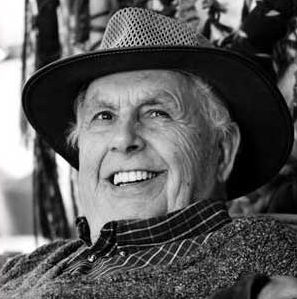 Spatz, who coped admirably with Parkinson's disease the last few years, was not only a craftsman of superior wines, but introduced numerous 'firsts' and left an indelible legacy in the Cape Winelands. Today we toast his pioneering spirit as we pay homage to the great visionary, husband, father and grandpa he was. It is with very heavy hearts that we have to say goodbye, but we are thankful that he is no longer in pain and at peace. 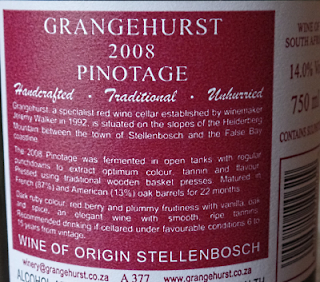 It's just a week to International Pinotage Day on Saturday14 October. If you are in South Africa there are many Pinotage Day events in the winelands and the Leriba Hotel, Centurian between Pretoria and Johannesburg are holding a Pinotage Week with alunch and tastings tomorrow, Sunday 8th and events every day from the 10 October culminating in a Pinotage and Biltong Festival on the weekend of 14-15 October. I'm not aware of any events elsewhere, though Paul Kemp at Loma Prieta winery in California, which is North America's largest Pinotage producer, tells me he is making plans. I'll be joining in by opening a bottle of good Pinotage! The South African Wine Society of Toronto, Canada, is holding a Pinotage tasting on Tuesday 24 October 2017. I'll be there pouring South African Pinotages plus one from Oregon. It doesn't seem that three years have passed since I last presented a SAWS tasting in Toronto. For details of the event, list of wines and booking form click here. 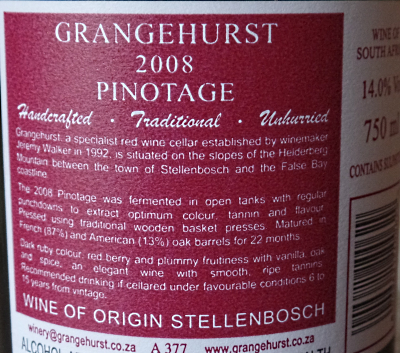 The definition of a Cape Blend is a minimum of 30% and maximum of 70% Pinotage. 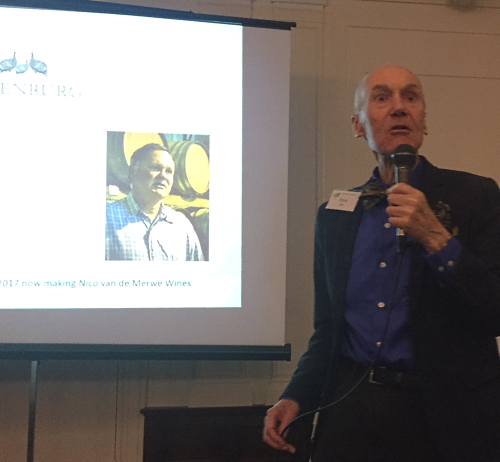 De Wet Viljoen, vice-chair of the Association, remarked that the leading examples are testimony to the quality of top South African combos that can represent the country among the best wines anywhere in the world. 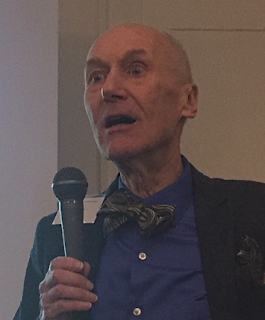 Jacques Roux, convener of the judging panel, concurred, reflecting on diversity of styles and praising the astonishing quality of the 53 entries this year. Cape Blends, he said, are a reflection of the winemaker’s vision, adding that it is delightful to see how they combine different variables to make for world-class combinations. 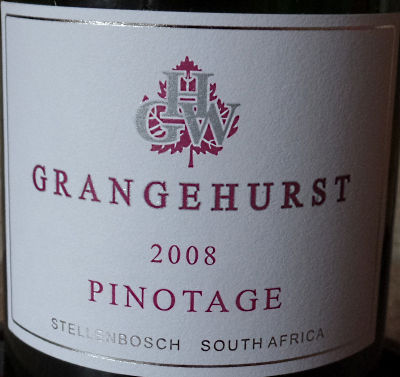 Absa’s Provincial Managing Executive in the Western Cape, John Tshabalala, commented that Pinotage and Cape Blends are truly unique jewels in the South African winelands. On the subject of Absa’s support, he said that: “This partnership reflects our long-standing commitment not only to the Pinotage Association but to the South African wine industry as a whole. 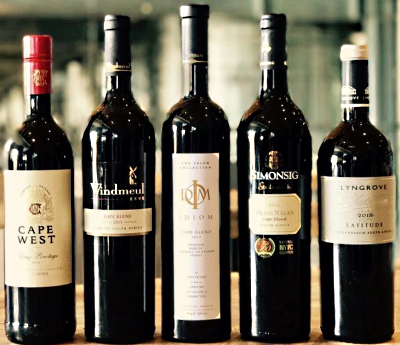 Cabernet Sauvignon and Shiraz are popular blending partners for Pinotage; four of the Top 5 blends included Cabernet Sauvignon and three Shiraz. 2017 is a good year for Windmeul who also won a trophy at this years Absa Top 10 Pinotage Awards. This year saw the Pinotage Association’s first competition specifically for Pinotage Rosé wines. Competition judges were Jacques Roux (experienced judge and marketing director of DGB), Fred Viljoen and Johan Malan (proprietors and cellarmasters at Viljoensdrift and Simonsig respectively), Susan Erasmus (previously winemaker at Vrede en Lust and now at Laffort SA), Brad Gold (Cape Wine Master and head of marketing at Oak Valley) and Marené de Beer (winemaker at Altydgedacht). Pinotage was in demand at the Nedbank Cape Winemakers Guild annual auction with Beyerskloof 'Traildust' Pinotage 2015, made by Beyers Truter, reaching the highest average price at R1449 (80 GBP/106 USD) a bottle. Beyers said the wine is a selection of the best barrel aged 21 mnths in new French oak. With the third highest average price of R1309 was Kaapzicht Estate 'The Ultimate Vision' 2015, a Cape Blend of 45% Pinotage; 45% Cabernet Sauvignon; 10% Merlot. This was made by Danie Steytler, his final CWG wine as he retires from winemaking at the end of 2017. Kanonkop CWG Pinotage 2015, made by Abrie Beeslaar was in eighth highest place at R1222 per bottle. 14% VAT is payable on the prices above.